I won´t be far from the truth if I say that many of our readers are seeing your name for the first time now, so let´s start with the obligatory question – who are Keys N Krates? Matisse: Keys N Krates are Adam Tune on the drums Jr Flo on the turntables and Matisse on the keys. Your name alone suggests what your music is mainly about. What is the process of creating your tracks like? Tune: Up until now it´s been starting sample and building around that, but now that we are writing original music it can start with anything now really, whether it be a keyboard riff Matisse has played, a drum groove tune played, or just a general idea that one of us has for a track. Matisse: Usually Flo comes in with a sample that hes cut up and we all decided if it’s a direction we want to go in. If so I´ll usually start meddling away on my keys to find a way to put some chords underneath it. At the same time Tune usually tries to groove along with me until we find an arrangement that we’re all feeling. How do you choose the music that you decide to remix? Do you consider the fact that most listeners start paying attention when they hear motives from classic or popular songs, or do you remix anything you like, no matter how popular the song is? Flo: We´ll pretty much sample anything we think we can do something cool with that we´ll be excited about. Until now we´ve been sampling a lot of pop music, which is super fun because it presents the challenge of really flipping something people already know and are in some cases bored of, into something new and fresh. Wer´e starting to venture off the beaten path though more now in terms of samples. Matisse: A little bit of all of the above man. I personally just go with if the sample gets me excited as a fan first. Whatever the sample is – wether popular or not. If I get an idea for it, I’ll run with it. Was it your goal from the beginning, to make remixes and not only edited versions like i.e. J. Rawls & The Liquid Crystal Project? Flo: Yes in the beginning it was about creating these really nutty compositions/remixes that you could only hear by coming to see us live. Eventually people started wanting to take those home with them and listen to them so we put out a little Live Re-Mix ep with some live off the floor remixes, and just recently we put out “Live Re-Mixing 101” which is a live off the floor 30 minute mix. All that stuff has been really great for listening and live, but now we are starting to create live remixes with a bigger sound so that we can not only perform them live, but also record them and have them be DJ playable in clubs. This our stuff is starting to sound a little less live, and more produced, however, we are still doing it all live in analog which makes the whole thing cool. In the new year you´ll see djs playing our remixes in clubs that have no idea we perform those completely live. We´re super excited about that. Matisse: Yeah pretty much. Edited versions like what J Rawls did with Dilla is a different approach that we don’t really think about. We wanted to create live remixes from the get go and be known for “live remixing“. Do you plan to evolve into a project that will eventually start producing new tracks, apart from remixes? Tune: The funny thing is our remixes are really starting to almost become tracks in their own right that just contain samples. The MGMT and FEIST remixes we´re performing pretty much sound like original music with very recognizable samples. However, we are also working on music right now that is 100 percent original. We´re super excited about it. That will be coming out in the new year in the form of a single or EP. Not sure yet. Matisse: Yes definitely. We have already started down that path. We haven’t limited ourselves to just the remixes at all. That was just really the first step. We’re always going to grow and try to step out of our boundaries. You have already toured the whole Canada and now you are doing shows in the States. How would you describe your show and what are the reactions? Why would you recommend people to visit your show? Matisse: Our show blends turntablism, sampling, live drumming, synth production, live performing and party rocking all into one. The reactions at our shows have always been high energy and enthusiasm. People move and like to sing along to our remixes. I would reccommend our shows to anyone who has ever been dissapointed seeing one of their favorite bands play live and been dissapoint that they are lacking energy or the passion on stage. All of 3 of us go pretty hard on stage every single night. You can also tell that we love what we do. Any chance to see you in Europe anytime soon? Flo: We rocked in Berlin and some other German cities last June which was amazing! We want to make it back to Europe asap! Matisse: We’ve already played in Germany and are looking to get our feet into Europe either by the end of the year or for sure next year. What are some of the last albums that you liked and would recommend? Flo, Tune: Drake Mixtape, Friendly Fires, Phoenix, Flying Lotus Essential Mix, Little Dragon, anything Breakbot is doing, Passion Pit, Francis and The Lights (both albums), MGMT (one of the better albums in the last few years). Really feeling Heralds Of Change, Blunt Speakers right now. Classix are killin it, Fred Falke, Lifelike… We know we strayed from the albums, but just had to name some good music. Not even sure about the album format anymore really. Matisse: Radioheads in Rainbows. Frances and the lights last EP. I love Drakes so far gone mixtape. Jr Flo – You are a well known Canadian DJ and you have performed around the whole world. What do you – an ITF and DMC champion – think about today’s DJing? Is DJing still evolving and are DJ’s getting better? Flo: I think djs are getting better and worse. The ones taking advantage of the new technologies to be creative are killing it. The one relying on technology to be lazy are lame. Jr Flo – We live in an era when young DJ’s only need Serato and don´t go through the path of buying vinyls, collecting rarities and crate diggin‘. What advice would you give to people who decide to start DJing? Flo: I think Serato is a great thing, and to some extent I wish I had it when I started. I do think there´s a certain level of appreciation of music that gets lost in downloading 200 mp3s in a day off Beatport and a bunch of blogs, but I think for the most part it´s positive. I remember being so excited to go to the record store. I used to take the bus and the subway down there after school and spend all the money I had and was stoked to get 3 or 4 records. You appreciate music differently in that context, when your paying for it, you actually physically holding it, and it´s still kinda scarce. It crazy how much stuff has changed, but overall I would say this kind of access to music is a great thing. How often and what records do you buy? Flo: I still buy old vinyl probably once a month, mostly 70 funk and soul, 80s disco stuff. I sometimes buy cds from other music or Turntable lab, but more times I´ll just download from Beatport, iTunes, or blogs. 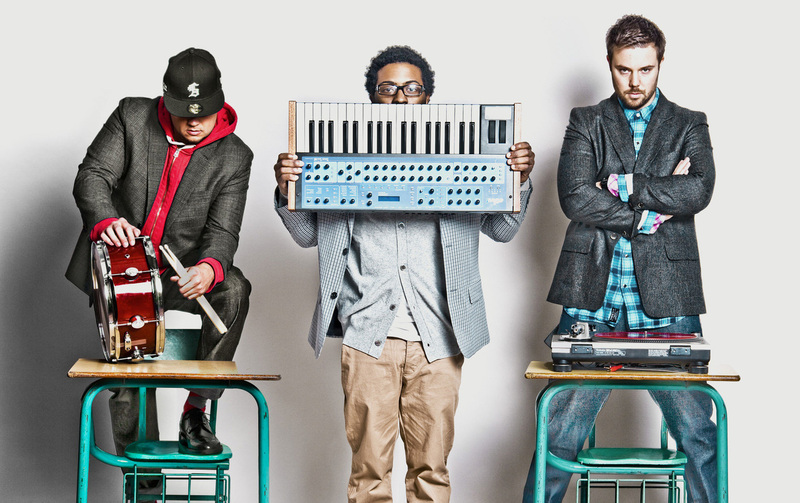 ← KEYS N KRATES: Milujeme to, co děláme!